Just thought I would update on my lastest good news this morning...I got a hot shower! This is BIG news for me considering I have been taking cold showers for over month. I just don't think you get as clean with cold water. As a matter of fact I know you don't. I forgot to put a funny story in yesterday's blog. I have been speaking mostly Creole to try ot learn the language. And I know I have made lots of mistakes but this one takes the cake! 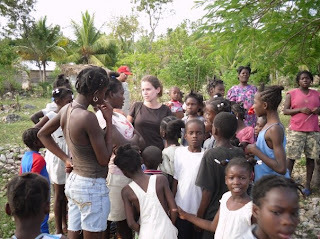 Last week I was tired and I told some Haitians that I was going to go lay down (or so I thought). In creole the way you say I'm going to lay down is "M ap kouche." But instead I said "M ap akouche." They were looking at me funny and laughing. I had no idea about what. I found out later that evening that "M ap akouche" means I am going to go give birth! Funny how one little letter changes everything. There have been other times that people are laughing at what I have said. 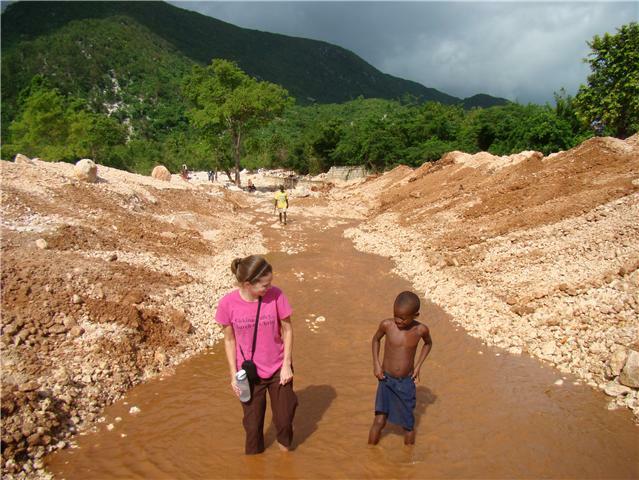 But the Haitians are helping me learn the language when I am not in school and teaching me a ton. They are often surprised that a "blan" (white person) is speaking Creole. That was way too easy. Ginnyism 7th edition: you can see that bonfire from the end of Dayton Rd. I cant believe the fire dept hasn't been out here. This may be a repeat ,not sure the other comment went or not? I love reading your stories. I was thinking maybe you should write a book about your experience, who knows maybe a best seller. Glad you got a hot shower. I know that had to make you feel sooo good. We take so much for granted here in the states. Ginny, you better practice their language a little more, too funny about you trying to tell them that you were going to take a nap.